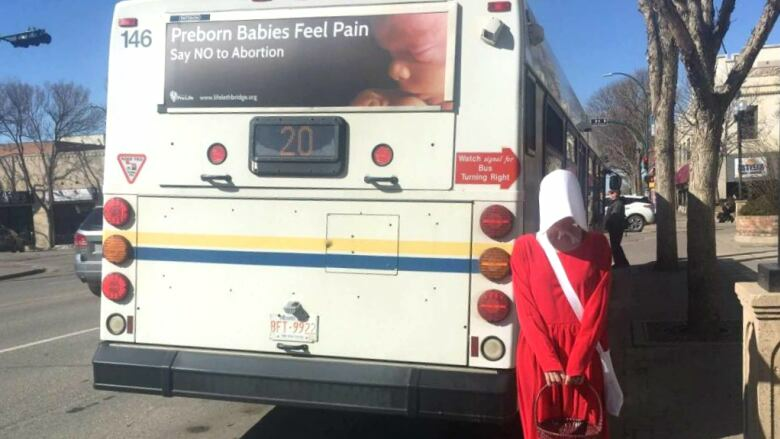 The City of Lethbridge in southern Alberta is pulling controversial anti-abortion ads from transit buses, bus shelter and benches. The ads from a group called Lethbridge and District Pro-Life featured photos of fetuses with statements like "preborn babies feel pain." "After reviewing comments from city residents, the City of Lethbridge has made an administrative decision to remove the advertisements due to adverse community reaction," reads a statement from the city. Kallie Desruisseaux was one of the loudest voices speaking out against the ads. She said she's previously had two miscarriages and an ectopic pregnancy, forcing her to have a medical abortion — without which she would have died. She was in shock following the city's announcement and said it feels good that she's not alone. "We're really happy that our voices have been heard. It's nice to know that we live in a city where the wellbeing of its citizens really matter," she said. When the controversy erupted, the city said Lethbridge Transit advertising was handled by a third-party contractor and directed complaints to Advertising Standards Canada. That industry self-regulating body was overwhelmed with complaints, to the point where it stopped accepting them. In the statement released on Wednesday, the city said the contractor has confirmed the ads will be removed from buses on April 5 and from benches and shelters this weekend. "To date, the City has received more than 100 emails as well as numerous comments via social media, the large majority of them voicing strong opposition to the pro-life ads," reads the statement. The move comes after silent protests started popping up in the city, with lone women standing in handmaid costumes — from Margaret Atwood's Handmaid's Tale — in protest of the ads. Pirate Jen Takahashi, one of the handmaid protesters, said the issue is not one of free speech, but of what she says is misleading information. "It's the fact that it's like, mock ups of fetuses and then wildly inaccurate scientific information," she said, just prior to the city announcement. Desruisseaux, who's associated with the handmaid protesters, says the fight isn't over yet. "I think we've kind of got to step one, which is getting attention, there's a lot of steps to follow," she said. 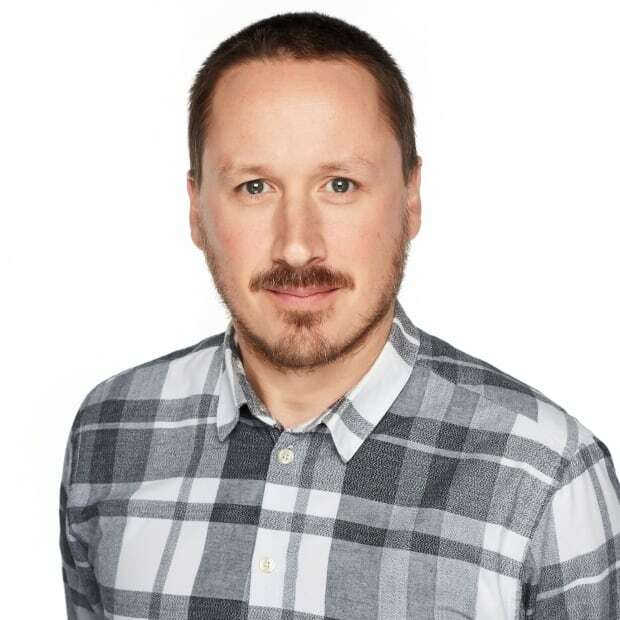 "We really want to make sure that this is something that ends in a procedural change or a bylaw change, where you don't want to have to rally everybody on Twitter every time that something doesn't conform to ad standards and you don't want to have to contact [Advertising Standards Canada] every time something has been mistakenly approved by our city." In a separate move, the province announced Wednesday it will introduce a bill in the coming days to establish "safe zones" around abortion clinics. An earlier version of this story said the controversy over the bus ads started when Kallie Desruisseaux took to Twitter to voice her concerns. In fact, there were complaints prior to that post.